To make sure you get the best deal we'll show you great prices from all of our drivers, including U Movers Limited , if they're available on the day of your move. Have a question for U Movers Limited ? No problem, send them a message and they'll email you back as soon as possible. If you have a more general question you might find it answered in the FAQ, or you always contact one of our brilliant customer service team. * U Movers Limited won't be able to see your email address. Perfect experience and did it quicker than originally planned for. Highly recommend. Everything went very smoothly. Driver arrived perfectly on time and the moving was very easy. I will recommend to anyone. Great job! Excellent service, great packing, I would have no hesitation to recommend them. 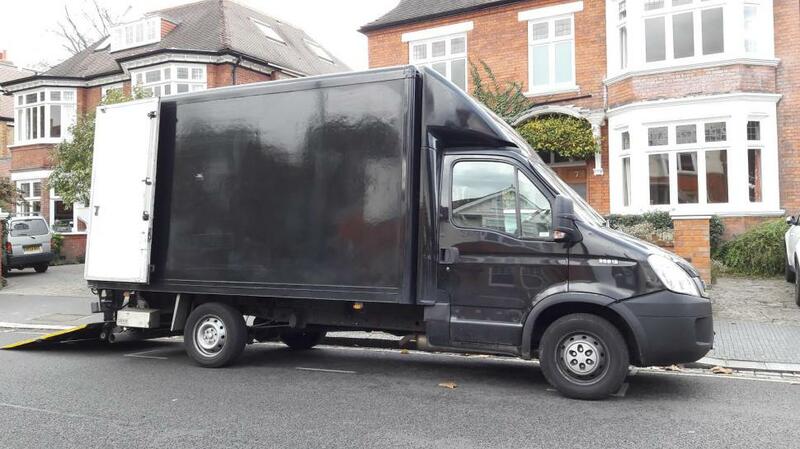 So impressed with the efficiency of the removal men and would definitely recommend/use again! Fantastic service, quick and efficient. Very reasonable on price too. The guys were on time, polite, careful with our items and did an excellent job overall. The flat I was moving into has a narrow entrance and they managed to get some pretty large items through. They even had to unscrew the door and put it back after the job was done. Really nice, professional people and I highly recommend them. Brilliant job. The guys were friendly, efficient and got it done in no time. Made a stressful day a lot easier. Overall, the service was Good, and the guys did a good job, made two trips in the time, and moved me with the minimum of fuss. However, I was not happy with the massive scratch left on the front door of my old property whilst moving a wardrobe out. Admittedly it was a double wardrobe, but I feel that more care could have been taken. That, along with constant bashing of items against walls whilst going round corners and up/down stairs means that I have deducted 2 stars from what could have been a 5 star rating. Driver and helper very punctual, friendly, careful. Move went very smoothly. Excellent experience with the movers. They even disassembled and reassembled the sofa to make sure they fit into the rooms I requested. Highly recommended! Excellent, I was kept me informed of arrival time. careful, respectful driver and helper, very impressed with the service. The driver and helper were great and moved everything in record time - I have very narrow stairs and quite bulky items and they managed to bring everything in carefully and speedy! Highly recommend! Great service and would definitely use again! They were very helpful, very fast and friendly. We were finished with an hour to spare, I can’t fault them. Very punctual, efficient and polite, but our one major piece of furniture (a large cabinet) was carried downstairs upside down and all the metal shelves fell out, scratching and denting the inside of the cabinet. There are also large scratches and scrapes down the outside of the cabinet. My item is too heavy to move upstair. However, they have tried their best to help. Thanks very much. choose service from this website for the first time. It is very efficient, would highly recommend to my friends who needs to move. driver called 30 minutes before due time to say they would be an hour late. ended up being an hour and fifty minutes late. once there, didi a good job but the delay had a knock on effect with hte rest of my staff who had to wait at the receiving end. Great guys! Very helpful. They were 40 minutes late but they texted to let me know. I would highly recommend them! Strong and punctual guys. Thanks for your help! Professional and careful, thank you! They were a few minutes late but were very nice and efficient. Everything was moved in over an hour. Driver was a little late because of previous job but telephoned to give revised ETA. He and colleague excellent job. Great service. Very professional and efficient. I will definitely use them again. Polite, quick and reliable - would 100% recommend! The driver had called me to let me know he was running late. Good service. Well done! Hard working, professional, polite and kind guys. We are very pleased with them. Highly recommended! The two movers we're fantastic, very careful with our belongings and went above and beyond by helping to remove some curtains that were left by the former tenant. Can not recommend them more! Superb service! Asked if any capacity to come early, which they did. Nice guys. Careful with all items and fast. Highly recommend. Apart from being slightly late, he was excellent! Very respectful of our property while loading and unloading the van. A real pro. Highly recommended. 2 friendly guys. Unfortunately were 1 hour 40 minutes late. Had straps but didn't seem to use them. Overall ok, but the base of a mirror was broken. We had a great move with the two guys that came to help us. They arrived a late due to traffic problems but quickly got to work and did a fantastic job. Slightly late but extremely helpful with the move, very careful with items and helpful in every way. We are using him again and would certainly recommend to anyone else! Originally booked for 12pm. Got a call from office to say would be 2:30pm. Got a call from driver at 2:30pm to say would be 3:30pm. Arrived 3:40pm. Had 2 guys when had only booked one which was great. Not too careful with stuff - a few bashes, bumps and knocks! Overall guys were OK but one wasn’t very communicative to his mate or to me trying to help. The two men worked really hard and manage to pull off a tricky job with thought and care. I would definitely book them again. Great service, he was on time. Very careful with all of our items and friendly. At the end when I wanted to pay recognised that there was a trolly to transfer boxes easily. I said to driver why you didnt use the trolly? he said it wasnt suitable. while there was no problem to take use it. I think it would have made it shorter in time. Driver was really helpful did everything in hour and half load and unload. This guy is really strong too. Everything was smooth and simple, thank you very much for helping me. I am very pleased with the move and happy to meet nice people like you! These guys were absolutely superb. Were 20 minutes late but called to let us know. They were quick, professional and even made a second stop to pick up another big item we'd been storing at a friends house. Can't say enough about how happy we were with their service! Very helpful and nothing too much trouble. Very happy with the service thanks. Over 55mins late. Asked for an additional £21 for going 8mins over our allocated time. Ended not paying so overall okay. Even though the driver was late, I was informed and he arrived promptly at the new time. Very helpful and polite. Happy to do an extra trip to put some items in storage. Definitely would recommend. "U Movers" was very professional and it was noticeable that they handled the items with care and very organised. There was a mistake on our part which we initially booked for 2 hours but ended up going over by 4 hours. Despite that they got on with the job and followed through until the end. Will definitely have return business with these guys again! They were really slow. We were lucky, last time we booked, to have a chap who was really quick, and didn’t expect that again, but it felt like these guys were really dragging their feet. This was the best service, the guys did a fantastic job. They were fast friendly, organised. I would highly reccommend. I was dreading the move but the guys had a great attitude and got the job done hassle free. I will use them again for sure. Late arrival due to traffic delays, but I was notified of the late running. Driver and 2nd person very courteous and efficient. The guys were fantastic! They moved all my stuff with respect and care - all with a smile on their faces and excellent attitude. I couldn't have asked for more. Very professional and quick. Very conscientious of not making marks on the wall when moving furniture. Would highly recommend. was thirty minutes late, got lost between flats. was really nice while working, and industrious, but not the efficient experience I hoped for. Because of the terrible weather I thought the snow would cancel our booking, instead the driver was on time and happy to help. Very grateful the weather didn't postpone things. Very friendly but, when moving stuff they would take one small single item when clearly they could have carried more at a time. I moved the stuff in a much faster pace and the younger guy I found just sitting a few times. I needed the bed taken apart which my friend had to help with and putting it together was all me and my friend. Due to the slow pace and single item carried on majority of the trips the time I'd paid for ran over and I had to pay extra. Great move, very happy with it all, they did a great job, would book again. Very delightful and diligent men. Highly recommend! We had to deliver 150 Christmas Presents from our office to a local school. The 2 guys were amazing with handling our gifts (and waiting while we brought a couple last minute!) and delivering them at the school. Would definitely recommend and use again! He was great, moved everything really quick and even helped dismantle our wardrobe when it wouldn't fit through the door! Kai and Robert are the best team.. They call the night before confirming the booking,asking if it was possible to come an hour earlier (thank you for this guys). We live in a very busy street,extremely hard to park and they didn't give us a hard time for that..always solutions. Super friendly ,we literally laugh during the whole move with all the jokes and the positive reinforcement..which is quite hard on 9am of a Saturday with the house full packed to go. They made the move super fast..instead of 2h30 we did the move in 1h50..
Super respectful with our furniture nothing got scratched or damaged with a full loaded van. Van has all that is necessary,big enough for one bedroom apartment to fit in (including beds,tables,etc) with the necessary straps and blankets. Next time I moved they will be my first choice (company and team). Thank you again for making something that we all hate to do sooo easy. Rated the service 5 stars because although the two men were late 35 minutes, they kept me updated. They were hardworking for 6 hours. No lunch or tea break. New exactly how to carry big items up and down the stairs without any damage to the items or the properties. I would strongly recommend! ???????????????????? Give these men a medal! Fantastic service! Great guys who were very helpful and friendly. We got a call that he'd be late and he apologized. It was okay to load and offload, but the drive itself was quite scary as the man drove without a seatbelt and sped repeatedly by a lot. 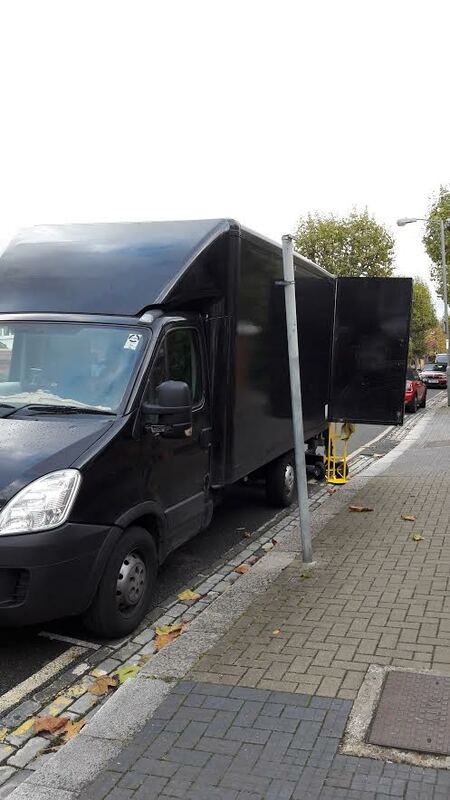 We cannot comment on whether or not the driver wore a seat belt in the van, but would point out that it is extremely difficult to speed in a fully loaded luton van. Michael and Rob at V Movers Ltd were excellent and took all the stress out of what could have been a stressful day of moving. They treated all our items with respect and were very careful when loading and unloading things, all with good humour. I'd definitely recommend them! The driver and crew was very polite and on time. They moved everything in ample time and was well organised. Move was stress free. They weren't on time but I really didn't mind, really polite gentlemen. I had really badly packed stuff (completely awful and I do not recommend that to anyone), they were realistic but consistently polite, they didn't mess around at all and really got the job done. Very pleased! Robert and Michael were very helpful and efficient, booked for 4hrs and done in 3, punctual and friendly. Would use again, great service! Best service I've ever had!! Polite, friendly, quick and knowledgeable - all you need. Fantastic service. Really hard workers. Nice people! Thanks again! Would 100% reccomend these guys, quick, efficient and very helpful! Thanks so much for making our move as stress free as possible!! Michael and Junior were just amamzkng. So helpful and patient. I would highly recommend them. Fantastic experience once again from V-Movers. Very polite professional guys, extremely hard working and got the move done an hour earlier than anticipated. Would recommend once again. Amazing. Very lovely and helpful. Will recommend. Robert was brilliant. Both Mole and David were extremely polite. Will definitely ask them to help us move more things when we're ready! Very friendly and efficient, thanks! Wayne & Jan were brilliant. Friendly, careful, parient when we ran over our time. Would definitely recommend!! The drivers were fantastic, very professional and moved everything quickly but carefully. They made the experience as stress free as it could be. Highly recommend this service. Great, friendly & efficient service. The lift of our 4th floor broke & we had to carry everything up the stairs and the guys were so good natured about it. Would recommend. They were so friendly and helpful. Would highly recommend them as movers. Great job. Turned up early and finished the job in no time at all! Would definitely recommend them. V Movers are amazing, fantastic service I can't recommend them highly enough! The 2 men who helped me were superb, friendly and extremely competent. If you need a moving company then choose this one. I've moved around London several times and can honestly say these are the best! They were brilliant. Couldn't have been better or politer. Lovely experience. Very happy. They were on time, careful with our goods and very friendly and polite. Would definitely recommend them and use them again. Driver (I think his name was Mo) and the two guys with him were very nice, well mannered and helpful. They were very efficient, careful and quick with all our items (we had a lot of stuff). Great team and would definitely recommend them. Turned up on time - worked hard and got the job done quickly but took care of the items and put them where we needed. Would use again and recommend! Careful, polite, helpful and good in time. The two men that came to help us move were not faced with an easy task, we had a lot of stuff. They made the whole process as stress-free as possible being incredibly hard-working and easy-going in perfect combination! They handled our belongings with care and really can't be recommended enough - many thanks for your help. Mo and David were excellent. Fnished the project in a timeley fashion. The guys were very very helpful! Excellent service, went well above and beyond the call of duty in conditions made difficult by me. Although the men were late, it was only by 15 minutes & they phoned ahead to let me know. All through the move, they were polite, courteous and extremely professional. I hate moving and usually find it very stressful, but they made everything very easy and stress-free. I would use them again any time and easily give them 10/10! V Movers were on time (actually even a bit early! ), super nice and very efficient at moving all my stuff. Wouldn't hesitate to use them again. The move went incredibly smoothly and the guys were fantastic. Would highly recommend. Excellent and fast. Highly recommended! All I can say is... What an amazing service! Lovely guys and very reasonably priced. Thank you! Mr Robert and Shawn were very respectful and efficient. Would highly recommend them. Robert & Wayne were a great help moving us! They managed to organise our stuff in a way that leaves us with a lot less organising to do! Which we greatly appreciate! I would recommend these guys to anyone they are super passionate and very fun to be around! I know who to call next time I'm moving again! Robert and Mick were a fabulous help. Really nice friendly guys. The work required was, in the event, more than we had asked for, but Wayne & Mo willingly helped to complete the job for us. After a 2 1/2 hour journey to get to us, they were about 20 minutes late but they kept us informed of the delay and it made no difference to us. Excellent. Both were helpful and respectful and made my move really easy. Robert and Mick were fantastic. Fast, efficient and very careful with all of our fragile items. I couldn't recommend them highly enough. Thank you! Robert and Michael were excellent. Helpful, quick workers and cheerful. I'd recommend them to anyone. Mikey. Wayne and Robert were extremely efficient, polite and friendly. Couldn't be happier with the service. Many thanks to Mr Richard s and Wayne. They were extremely helpful and caring. I will definitely use them again. Thank you very much. The guys were on time, very friendly and courteous, and extremely helpful. They worked really hard and took good care. I would definitely recommend them. Two really nice chaps who were hard working and very strong. Highly recommend. Brilliant - they were very polite and worked extremely hard, not even taking time for a lunchbreak. I was very impressed! Really lovely guys, they were only half an hr late but they contacted me in plenty of time so I knew what was happening and actually it worked out perfectly. Very respectful of my things and the guys were nice and friendly, they just got on with it quickly and with no fuss. Will use again with no hesitation. Wayne was patient, polite and curtious. Very trustworthy and hardworking guys. I will be using again! Very quick and efficient. Calm and composed helpers who tried to accommodate whatever your needs were. I highly recommend this service. Overall a fantastic service! Wayne and Robert were great and absorbed much of the stress that comes with moving home. I would recommend these guys to anyone. Thanks so much for your hard work and expertise! Did an excellent job. Couple bits got damaged, but that's alway the way. These guys were total legends. Polite, efficient, great company, endlessly enthusiastic. We unexpectedly needed two trips as I'd underestimated space but they went back without a grumble - then took me to a storage place afterwards when some of our large furniture wouldn't fit through the door. Highly recommended. Thanks! Both drivers were very friendly and helpful, would recommend to anyone. Both very friendly and accommodating. I would recommend the company to anyone wanting to move with ease and comfort. A very good service received from Wayne and Robert, both friendly, professional and efficient. Would recommend. My driver was wonderful. He was very polite, efficient & a pleasure to work with.